IFSOUNDS is an Italian band with it's roots in the 1990s, when they were known as IF. Five Italian friends played prog and non-prog covers (Pink Floyd, Queen, The Police) next to some of their own material - mainly at high school parties and small rock festivals. After a pause of 4 years, in 2004, the band rejoined, without former drummer Pietro Chissimo and with a new vocalist Paolo De Santis on vocals. 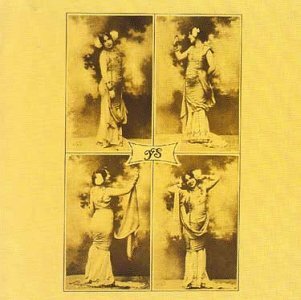 The same year, the album In the Cave was released by the band themselves. Three more albums then followed. Enough to make me enough curious to contact the band. Both Claudio and Dario answered my questions. When, where and by whom was If/Ifsounds formed ? Why did you choose that name ? Claudio: I see it in a more “romantic way”: in my opinion the band born Thursday the 27th of December 1990 (so we're going to 20 years!!!) when Dario and I spent a whole afternoon together speaking about music and sharing our records (we were 14 and 13 years old!). In the next months we started writing some stuff and playing together with Franco and in 1993 Pietro joined us and we start as a cover band, but we liked to put some of our tunes in our playlists... Now we are a completely different band, but I still remember when we recorded our first demo on a 1/8 inch tape 4-tracks recorder and everything sounded horrible! Dario: 2004 was a year of big changes in our lives. Personally I decided to leave Italy for work. I felt as I was wasting my love for music and our “talent”. So I spoke with Claudio and Franco about a new project: we had recorded many (“adventurous”) demos in our early years, but I felt the need to record a proper album before I left my Country. So we started working on “In the cave” with Paolo De Santis on vocals. There were lots of good ideas there, but we still had to define our sound better: the album sound as a multi-genre compilation by a deejay on drugs! More, the production was still too poor and the concept was not perfectly developed. But I needed that album to “let the world know our music”, or simply because I needed to know if our songs worth before I deserted my guitar in a storage room. Claudio: Well, what Dario didn't say is that it was basically old stuff re-arranged and re-recorded. The concept idea was still very clear in the old record (about 1997). I agree there is very good stuff there. I like very much the softer tunes like “You” and “You know” on the CD. Dario: The fire was burning! We had a bunch of old songs and we decided to re-record them. That’s how the album “if” born. And many of the songs were really good: “I wish” was our first “hit” in the Indie site IACmusic.com (it was covered by Scottish singer Ray Porter and reached #1 in the All Genres chart), while “Loser” and “Don’t go” got great feedback from listeners. The wheel started running, listeners and media became to get interested in “if”, we won some Indie award… we succeeded in “putting the band on the map”. Claudio: It's true. All the songs except “Don't go” were very old, but we felt they deserved a better recording and an opportunity to be released. 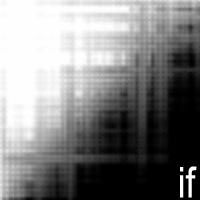 Conceptually “if” was like a collection of our past experiences, memories written when we was teenagers and told when we was about 30. Dario: Yes. The Stairway was another step ahead. We wrote and recorded this concept as our first properly produced album. We changed recording engine and we published 500 CDs… For the very first time our music was on sale! Specialized press was really interested in it and we received a lot of reviews and some airplay. Well, the reviews weren’t always positive, but we know we were on right direction and even bad reviews helped us to fix mistakes. Claudio: I love this album because we finally succeeded in shape our own sound through coherent arrangement and songwriting. Some of the songs born in the very first years of the band, but of course they are very different from them both musically and lyrically. An example? The keyboards on the very first version of Thirsty were a pattern played by an old Spectrum 48k as a sequencer! Maybe the only song that sounds almost the same (but with other lyrics) is “You know”. Anyway my favourite tunes in this album are “Thirsty”, “Naked”, “Poison” and the more prog composition “Morpho Nestira Part 2”. Dario: Luca Di Pardo joined the band on drums and we started working on Morpho Nestira in 2006. We improved a lot our sound thanks to Luca's work who gave it more depth. People and medias loved the album: we received a lot of good, very good and excellent reviews (except on a French magazine!!! ), we was listed on ProgArchives for the first time (wow!) 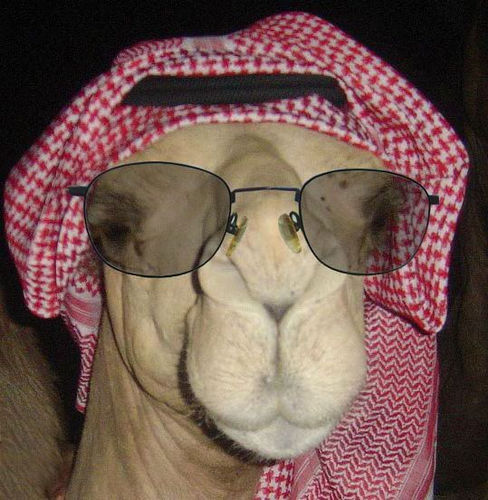 and we experimented piracy (!!!). Anyway the “concept of the blue butterfly” was surely our more successful album and ideally closed the “if” era for the band. The observant reader has perhaps noticed that I have named your band If/Ifsounds here. 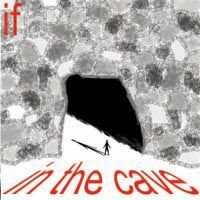 Your band name was If until 2009 before you changed to Ifsounds. Was this due to having the same name as a jazz/fusion group or was it other reasons for this change of name ? Dario: It’s true. We decided to change our name last year. It wasn’t an easy decision: we were working hard for years to promote a “brand” and now is almost as we’re starting again… both exciting and dangerous! 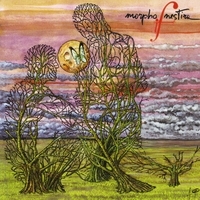 Anyway, we didn’t know the British jazz/fusion band and it was quite annoying to see on sites like Last.fm Morpho Nestira as one of their albums. But we found at least other 15 (!) 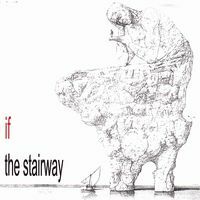 bands all over the world named “if” (there are other two Italian prog bands too…). It was too much! So we decided the change when we re-arranged our line up with a new singer and a new drummer. Definitively it was the right moment to open a new era in our career. More, “ifsounds” is a more recognizable word and as we’re not as well known as “Yes” that helps J. What is the latest update on your band ? Dario: Well, the most important news are that we are about to publish our next album (hopefully in September) with our new line-up and for our brand new label. We've always proudly worked as complete Indies, but Nick Katona from the fine American label Melodic Revolution believed in our project and offered us a deal and it seems a very good opportunity for our career. About our new line-up, as I said before Luca and Paolo left the band after Morpho Nestira. Luca is on a roll with the Italian ska (!) band “Pippo e I suoi Pinguini Polari” and they are doing very well. He couldn’t grant us the necessary involvement in “ifsounds” project, so he decided to leave. Paolo is having a great career as an actor in the dubbing world and he lost interest in our music after 4 years of work together. Anyway they are both very good friends of us and we all wish them the best. “ifsounds” has now two brand new musicians. Elena Ricci is a charismatic vocalist and her voice definitively gives new colours to our music. She’s an old friend of us, she's already worked on the “if” album and I think she is simply fantastic :-D! Enzo Bellocchio is an incredibly talented drummer. Many people said that Luca was the best musician of the band, so we need a great drummer to substitute him… we have simply chosen the best drummer in our area! How would you describe your music and which bands or scene would you compare your music with ? Claudio: Well, of course reviewers tend to compare our music to the music of our “heroes” Pink Floyd, Genesis, Queen, The Who among others. Anyway is funny when they compare our sound to other bands' I really don't know... maybe we just reach the same results starting from different places, lol. But I think we have now a “personal” sound, after many years playing together, and this sound is quite different from the nowadays mainstream music... maybe we could be considered somehow “mainstream” 30 (or more) years ago, even if we try to have modern sounds together with vintage sounds. But the question is that I really don't like contemporary pop-rock music: maybe just Radiohead (I like their electronic sound), or something by Coldplay (even if they're pop at all!). I don't like prog metal bands as Dream Theatre because their music tends to be too cold and driven to para-academic technicism. You have released four albums. What is your experiences with the music scene and the industry ? Dario: Well, we've always been totally (and proudly) Indie. We never looked for a label because we wanted to keep the full control on our music. Luckily nowadays is possible having a good career being Indie and the musicians can be in control. Anyway it's very hard dealing with everything, so we accepted the deal with Melodic Revolution. I'm sure that Nick will help us to make another step ahead in our career. About the big industry it's always the same... the greed moves the mainstream music and the quality is always worst: in the 70s' labels invest money on artists like Pink Floyd, King Crimson or in Italy on PFM or Banco... today, with the crisis of the industry, they're trying just to reach easy and fast money despite of the quality and the music, so they tend to promote just “characters” and not “musicians” anymore. Just to wrap this interview up; do you have any regrets in your music career ? Claudio: I can speak about my personal life. Maybe I could have been more determinated in reaching some aims. About our music career I'm definitively happy about our results. Dario: Maybe we lost too much time in the past, maybe we've born 20 years too late or 10 years too early, maybe we born in the wrong place... Anyway we've got less than what we dreamt when we were 15 (when we wanted to become multi-millionaire mega-stars!) and much more than what we dreamt when we were 25! What is your five favourite albums ? Dario: I should choose at least 50!!! But the first 5 I can say without repeating artist are “Animals” by Pink Floyd, “Selling England by the Pound” by Genesis, “Made in Japan” by Deep Purple and two from Italy: “Io sono nato libero” by Banco del Mutuo Soccorso and “Fabrizio De André + PFM in Concerto”... But I can't forget “The Wall”, “Meddle”, “Tommy”, “Quadrophenia”, “Queen II” and many others by non-prog artists as The Beatles, The Police, Bob Marley, etc. Claudio: Same as Dario... the first 5 that come in mind... “Abbey Road” and “Sgt. Pepper's” by The Beatles, “Nursery Cryme” by Genesis, “The Dark Side of the Moon” by Pink Floyd and “A Night at the Opera” by Queen, not necessarely in this order. Anything you want to add to this interview ? Dario: Stay tuned: before the new album there will be an exclusive free gift for our fans that will close definitely the if-era and open the ifsounds-era! Claudio: That's all! Thanks a lot to you Torodd and to all the friends of ProgArchives... ifsounds, enjoy our sounds! Thanks Torodd for publishing the interview! This is still an unknown band to me, but I am interested in their music. Nice to see both, Claudio and Dario´s points of view, cool.